This page is updated regularly to reflect new information and opportunities received by the SAS College Counseling Office. DOLLARS FOR COLLEGE is a comprehensive resource providing you a detailed timeline from grade school through college on the ins and outs of financial aid and the process. FAFSA4caster provides basic information and helps you estimate your eligibility for federal student aid. 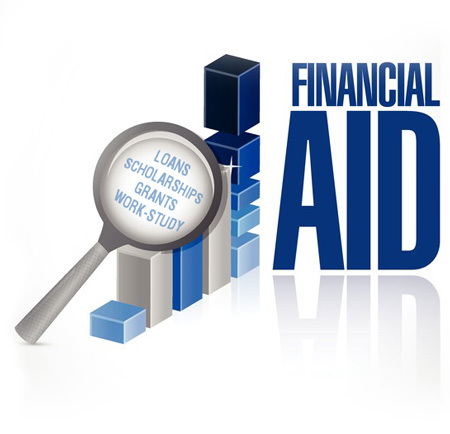 The CSS Financial Aid Profile is a College Board fee-based service that some colleges and universities require you to complete to apply for non-federal financial aid and scholarship programs. Before completing the application, check the admission's or financial aid office's website for each school to which you applied to verify if it is necessary. There is a fee for this service. StudentAid.Gov is a U.S. Department of Education website. For pdf documents and how to videos, go to their resources page. US Dept of Education College Affordability and Transparency Center shows the actual cost of attending specific colleges including tuition, fees, books, etc. The College Scorecards are accessed through this site. Net Price Calculator Center Federal law requires colleges and universities to provide prospective students a way to figure out their financial aid eligibility and "net price calculators" are the most common tool. Net price calculators are available on a college’s or university’s website and allow prospective students to enter information about themselves to find out what students like them paid to attend the institution in the previous year, after taking grants and scholarship aid into account. There isn't one "calculator" and some are easier to use than others. This link takes your to the federal government's search engine. Enter the name of the school and your result will most likely open in a new tab showing a page linked to the school's website. Tuition Exchange Cooperative is for families who receive these benefits from the college or university they are employed. This benefit for the majority of Sewanee: The University of the South employees. Sewanee: The University of the South: Tuition Exchange Guidelines and FAQs. For specific questions please contact the Financial Aid Office at Sewanee.